Tango is one of Argentina’s—and Uruguay’s—true gifts to the world, and its capital is full of nighttime performances of the sensuous dance. 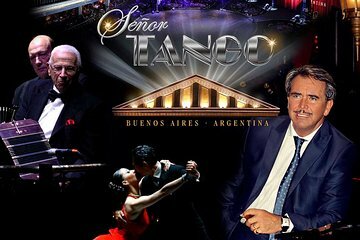 With this ticket, you have the option of pre-booking admission to a tango show with dinner or just a show. The dinner includes classic Argentinean dishes, and the show is an elaborate affair with 40 artists performing on stage.